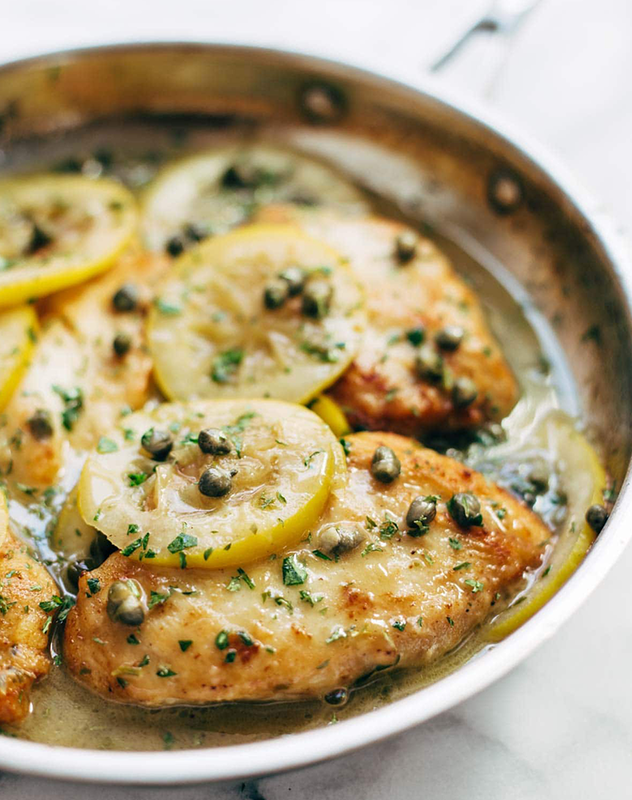 At its heart, chicken piccata is simple, delicious and, of course, Italian. 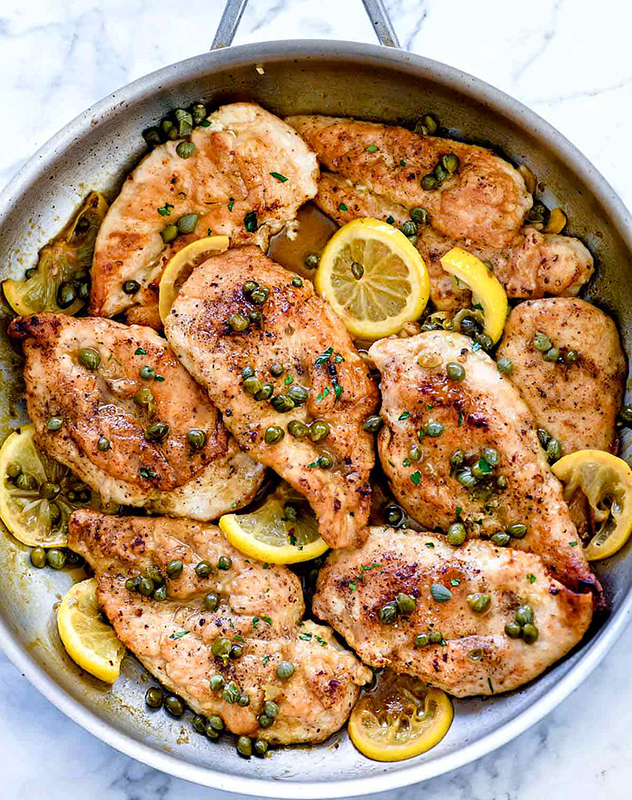 The easy preparation of breaded and fried chicken topped with lemon, capers, butter and wine has been a popular go-to dinner for ages—resulting in tons of twists on the classic. 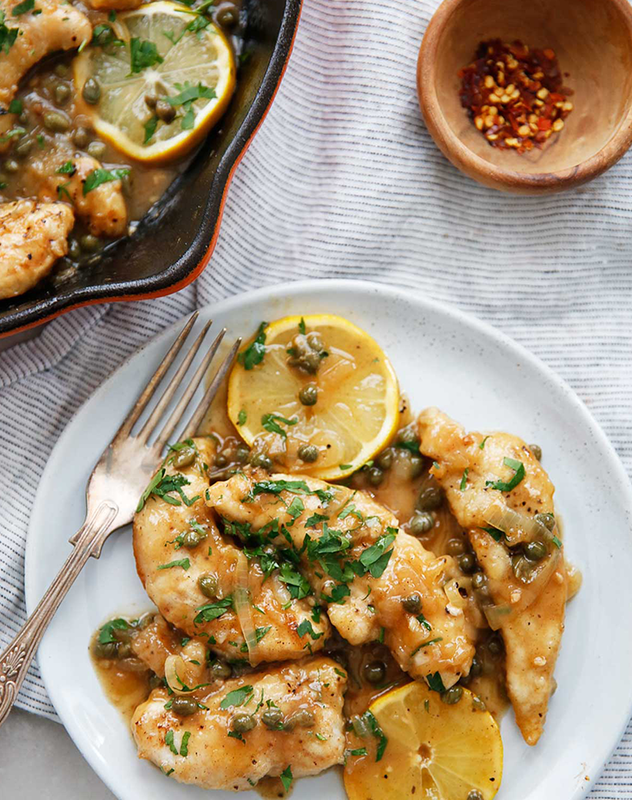 Here are 15 chicken piccata dishes to try for dinner, from gluten-free variations to versions you can toss in the slow cooker. Pop all the ingredients in your Crock-Pot, set it to low and let it simmer for five hours. 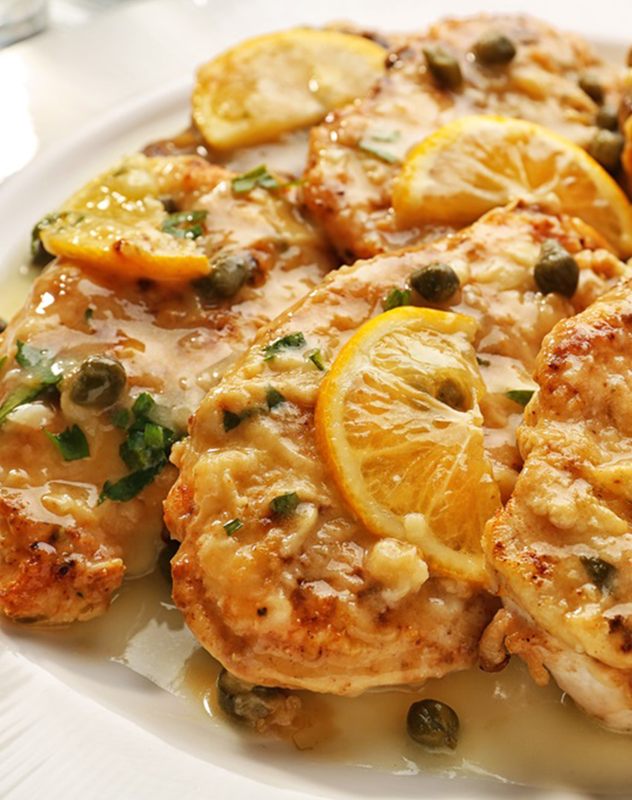 You’ll come home to a light and delicious chicken piccata dinner. 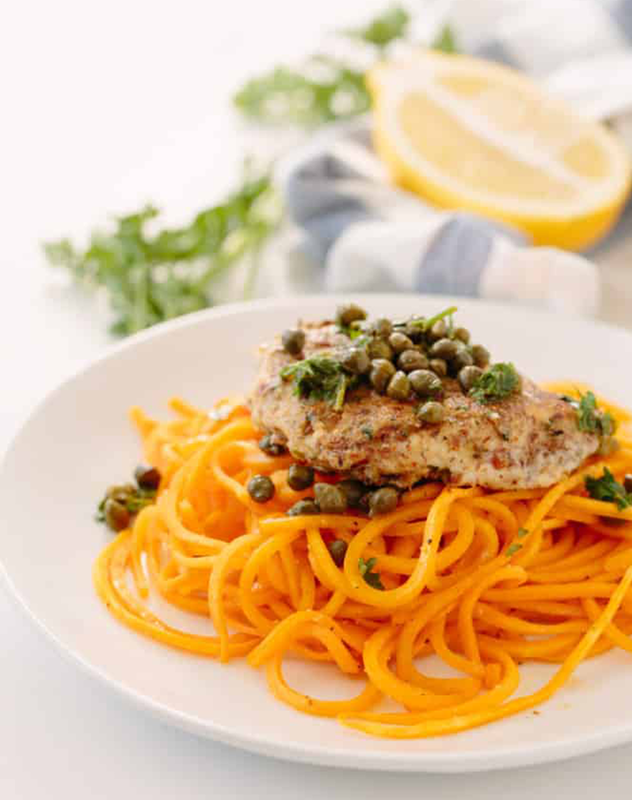 Made in just 20 minutes, this classic version by Coterie Member Heidi Larsen will just as quickly become your weeknight meal standby. It’s easy to keep all of the ingredients on hand, too. 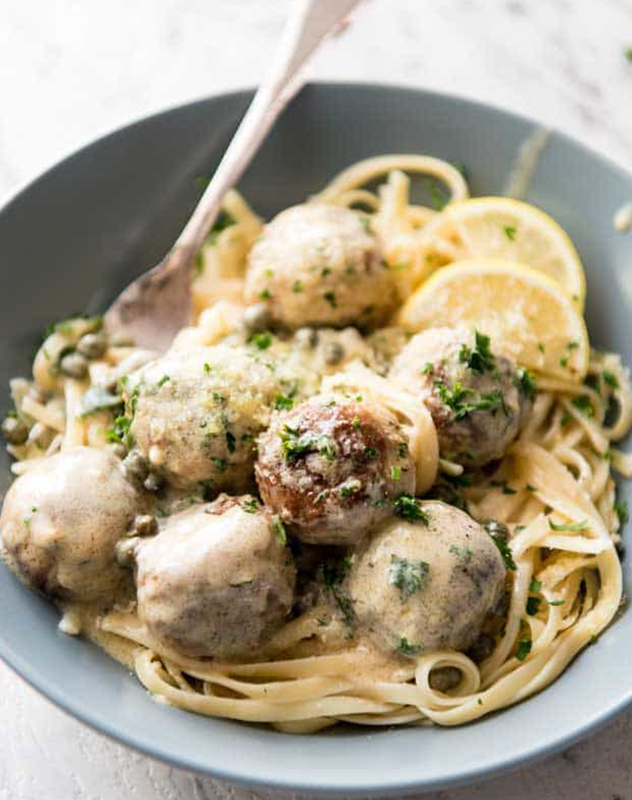 This playful take on traditional chicken piccata has all the beloved flavors, with the added fun of, well, meatballs. 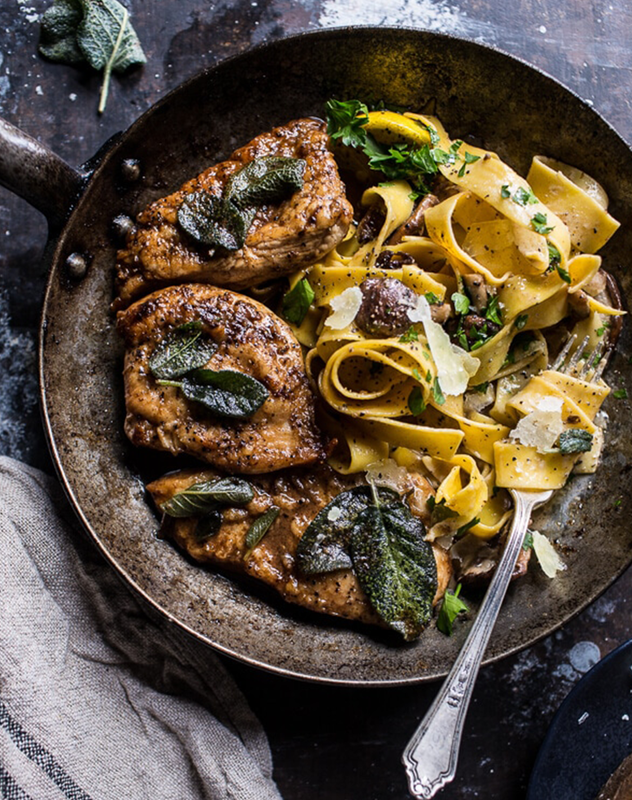 Dress up your standard chicken piccata with high-end ingredients like sage, browned butter, wild mushrooms and manchego cheese. 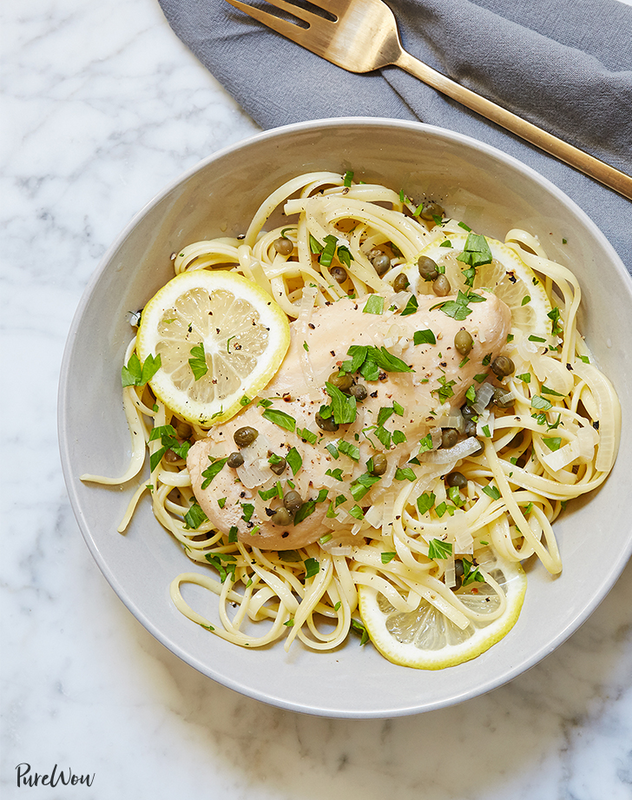 This grain-free (and therefore gluten-free) chicken piccata swaps bread crumbs for hazelnut or almond meal. It’s a welcome change, even if you aren’t avoiding bread. 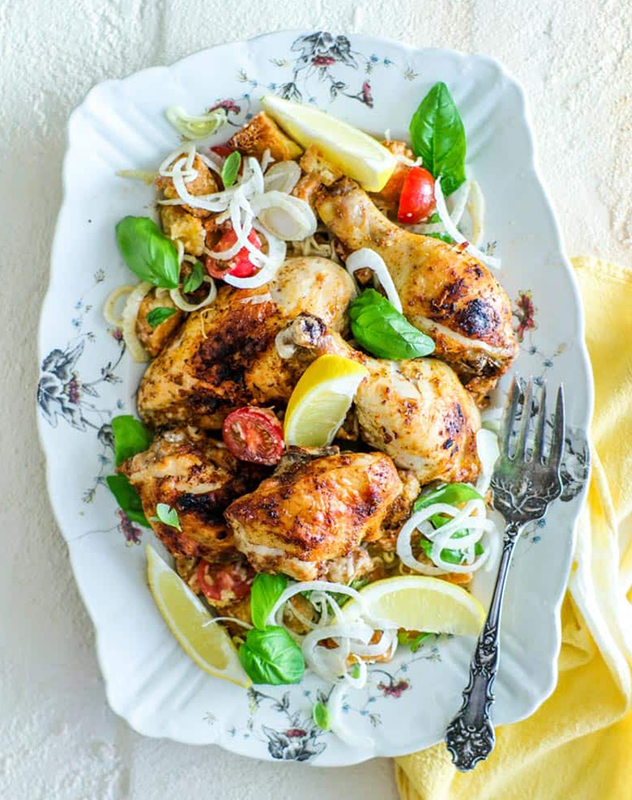 Coterie member Ali Maffucci gives us the ultimate Paleo adaptation. It’s complete with butternut squash noodles (spiralized, of course) and an almond-meal breading on the chicken. 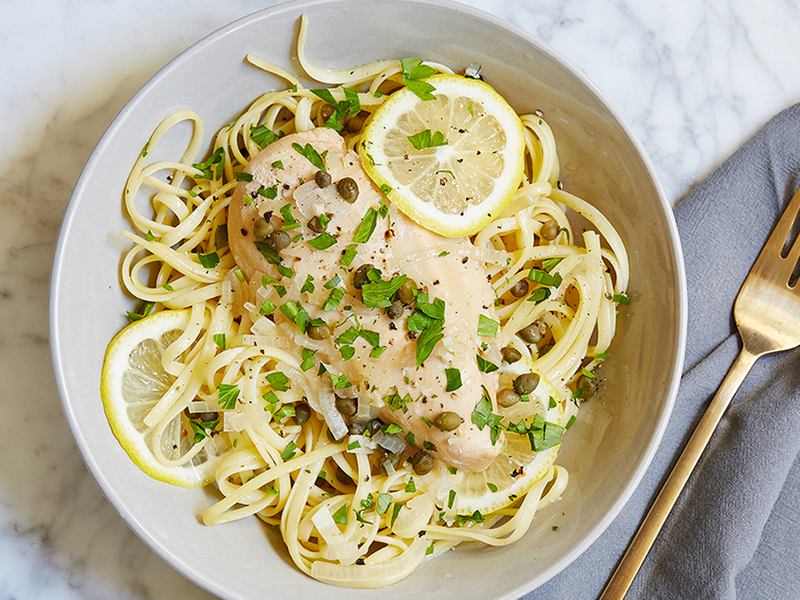 There’s something magical about the combo of lemony white-wine sauce and briny capers. Serving it with slices of grilled baguette mean you can sop up all the sauce. 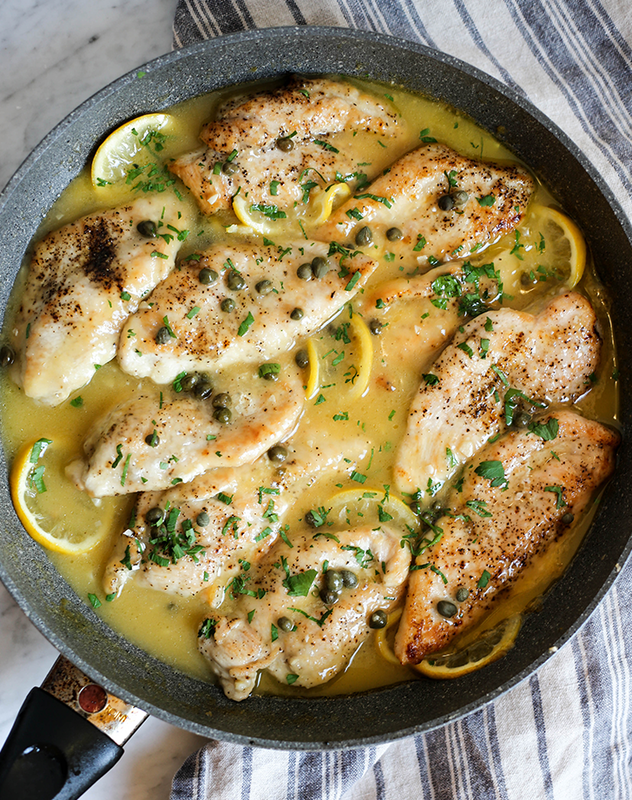 The best dishes can be whipped up in a single pan—and believe it or not, you can make the entire recipe with just one 12-inch skillet. Plant-based friends coming over? Serve this meat-free version, which subs asparagus in for chicken. Just brown the chicken, toss everything in the Instant Pot and set it on high for ten minutes. Done and done. 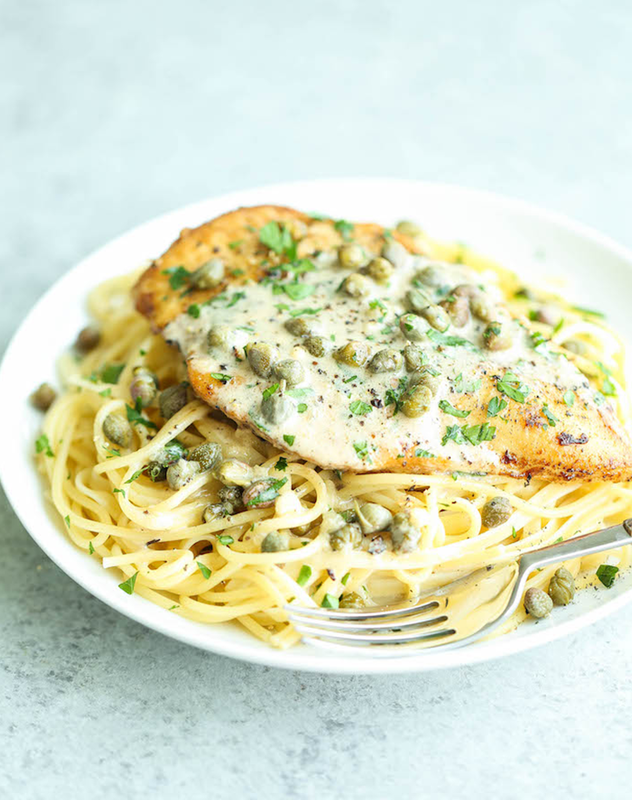 This egg-free, gluten-free, dairy-free and nut-free chicken piccata is done in 30 minutes. Is this the magical unicorn dinner we’ve been waiting for? 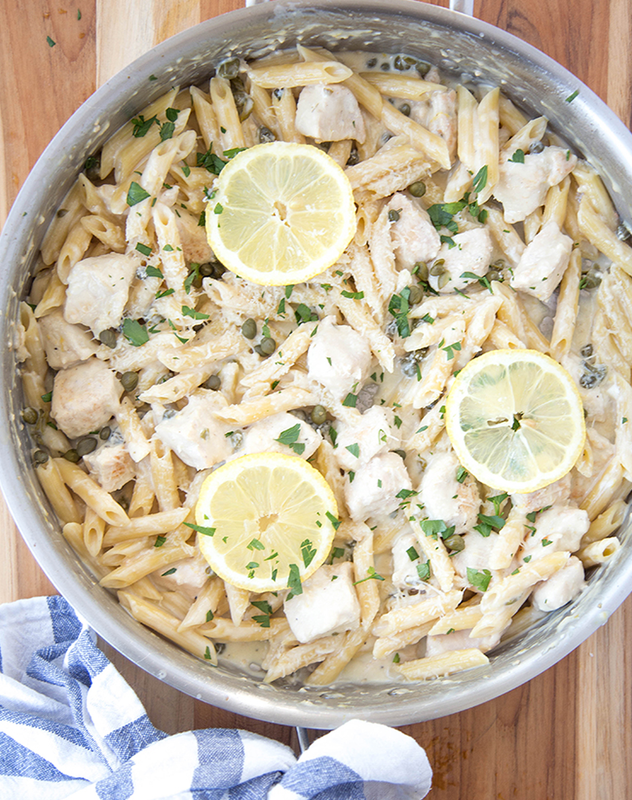 A 30-minute recipe the whole family (or house full of roomies) will love. Plus, you probably have most of these ingredients already, like a box of spaghetti in the pantry and wine in the fridge. 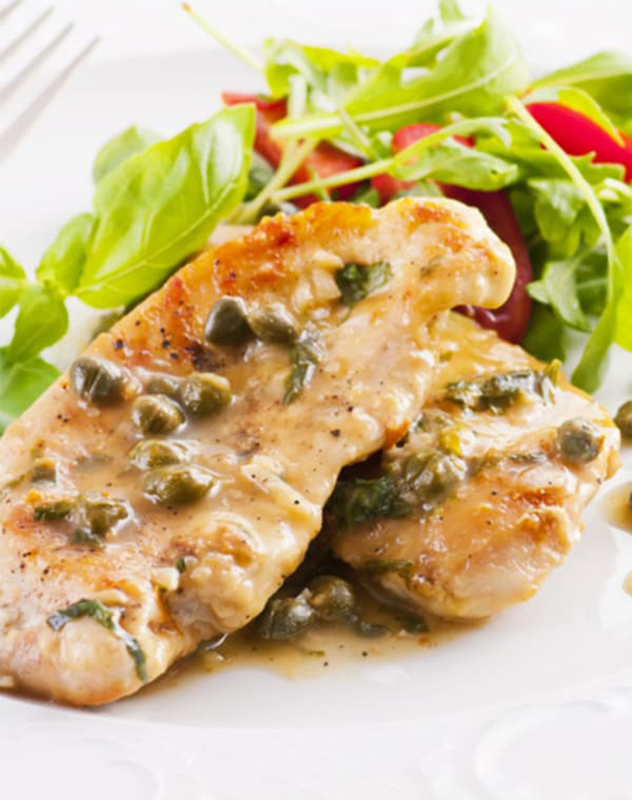 Skip the pasta in favor of a gluten-free bread and tomato salad for this healthy take on chicken piccata. 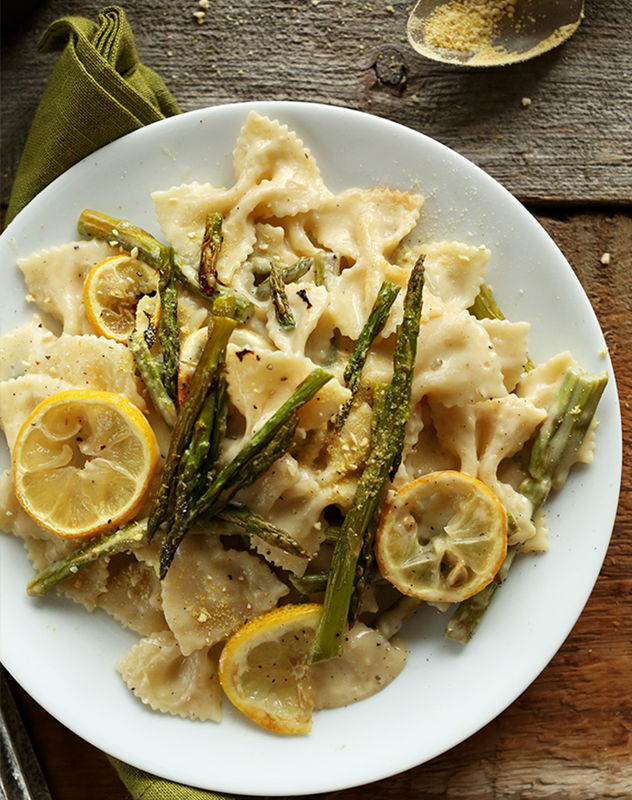 Forget the pasta (it’s possible). 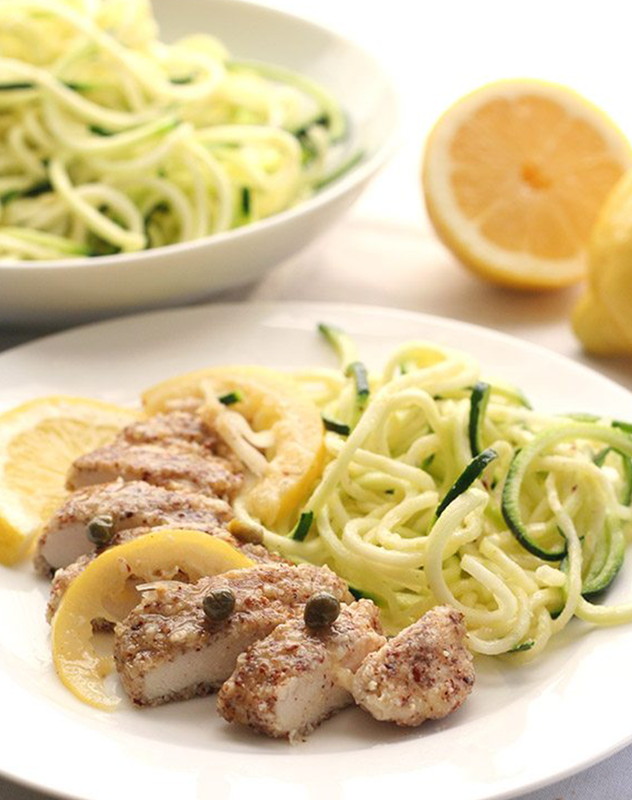 Cut the carbs by searing your chicken in a citrus-butter sauce, then serve alongside garlic-laced broccoli.